Shanaze Reade has returned to training with the Great Britain track squad after a period of concentrating on BMX in the United States. 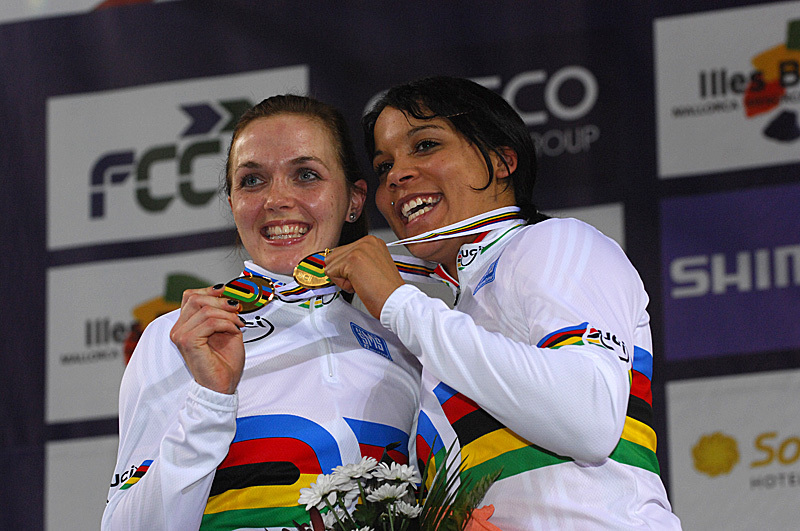 Reade famously paired with the now-retired Victoria Pendleton to take the women’s team sprint world titles in 2007 and 2008, coupling this with success on small wheels by taking the BMX world title in 2007, 2008 and 2010. Despite her track success, Reade focussed solely on BMX as it was introduced in the 2008 Olympic Games in Beijing. She crashed out in the final, losing out in the medals. Again in London 2012, Reade contested the BMX competition but once again lost out on the medals by placing sixth in the final. Since Pendleton’s retirement, Great Britain has struggled to hit a high point in the team sprint, despite having talent in the shape of Becky James, Jess Varnish, Victoria Williamson and Danielle Khan. James has been struggling with on-going knee and shoulder injuries which saw her sidelined over the winter, and the GB camp has indicated it may struggle to get a medal at the 2016 Olympic Games in Rio without her at full fitness. It is unclear when, or if, Reade will compete on the track after resuming training. Or if her target will be to race on the track at the 2016 Games.